Arun Jaitley, who is the Leader of the Upper House, was seen wearing a mask in his car before entering the Parliament complex. In his first public appearance since undergoing a kidney transplant on May 14, Union Minister Arun Jaitley attended Parliament Thursday and cast his vote in the election for Deputy Chairman of the Rajya Sabha. 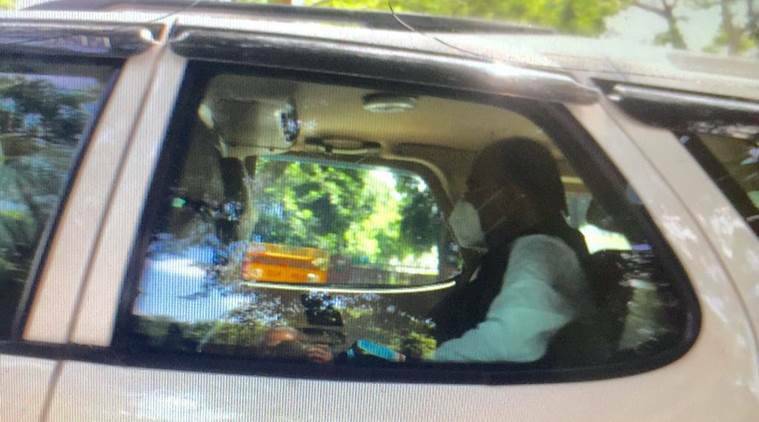 Jaitley, who is the Leader of the Upper House, was seen wearing a mask in his car before entering the Parliament complex. According to a report in Bloomberg, Jaitley will resume work in August. In his absence, Union Minister Piyush Goyal has been holding additional charge of the Finance Ministry since the last three months. NDA’s candidate Harivansh Narayan Singh was elected Rajya Sabha Deputy Chairman today after winning the election with 125 votes. The Opposition’s candidate B K Hariprasad managed to secure 105 votes. The post fell vacant after P J Kurien retired on July 1. Jaitley, despite being out of office, has been vocal on social media. In blog posts, he has recently commented on GST, the Rafale deal and the economy, among other issues. Last Month, Jaitley, via teleconference, addressed an event to mark the first anniversary of the implementation of the Goods and Services Tax (GST).